Most people who gravitate toward copywriting love words. Dishing up lots of them is relatively easy. The real challenge is editing to achieve a tight and lively style. So if your writing has become bloated and sluggish, perhaps what you need is a little exercise to trim the fat and energize your selling copy. The exercise I have in mind is based on radio advertising and will challenge you to write a complete, action-inducing sales pitch that can be spoken aloud in exactly 60 seconds. I got the idea for this recently while writing radio ads for several products. It occurred to me that while this form of writing uses few words, it takes incredible discipline to make those words sell. As a former announcer and commercial producer for an NBC affiliate, writing short ad scripts comes naturally. But it’s not a common assignment for copywriters, so you may find this to be harder than it looks. This isn’t a lesson in radio ad writing, so we won’t get into specifics about the medium. However, if you’re interested, you can get tips on writing radio ads in the Article Archive at my Web site. There are many ways to structure a radio ad, but the simplest, and often most effective, is an announcer speaking directly to the listener with no music or sound effects. 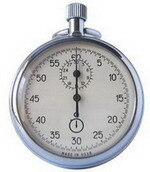 While radio ads can be produced in various lengths, 60 seconds is traditionally the time alloted to a single commercial. It’s also about as short as you can get if you intend to grab someone’s attention, describe a product or service, present a call to action, and expect to get a measurable response. First let’s look at a script for a 60-second radio ad. In line with our “trim the fat” theme, it’s for a weight loss product. The primary demographic is women, 18 to 49, middle to upper middle income. The product here is fictional, but typical. Ladies, throw away those do-nothing diet pills! Now there’s a proven way to lose weight fast. It’s called Fat Buster and it can give you visible results in 20 days! Guaranteed. The trouble with weight loss pills is that they only do part of the job. Sure, they might block fat, but what about the fat you already have? And what about the carbs that turn into fat? Fat Buster is a great-tasting chocolate shake that delivers a complete “fat attack formula.” It burns and blocks both fat and carbs 24 hours a day … while you work and while you sleep. Fat Buster is amazing. I lost 19 pounds in 2 weeks! But if you’re not convinced, try it FREE! Just call in the next 20 minutes and we’ll give you a one-month supply of Fat Buster FREE. No strings. No obligation. Hurry! To get your free sample of Fat Buster, call 1-800-123-4567. That’s 1-800-123-4567. 1-800-123-4567. Okay, that might sound a little too promotional to you. Or the product might not be appealing. But this is just an example to get you started. Notice that the structure of the ad includes elements of other forms of ad writing. The first line or two function as the headline. The copy identifies a problem, presents a solution, and makes a dramatic promise. There is a guarantee and a testimonial to enhance credibility. And of course there’s a compelling offer and a call to action. You don’t have to follow this structure exactly, but I can tell you that it’s a highly effective way to formulate a radio ad. The overall idea of the exercise is to balance the amount and strength of your sales pitch with the strict 60-second time allotment. You must read it aloud with a stopwatch in hand and not go even a fraction over 60 seconds. If you do, you have to rewrite and edit until the script reads just shy of the 60-second mark. If you don’t have an actual stopwatch, just use a clock with a second hand. On Windows, you can double click on the time in the lower right hand of your screen, and the date and time window will pop up, giving you a handy on-screen clock. Where will you get your product ideas? Anywhere you like. Choose a product you use. Google a product that interests you . Look through a catalog or take an idea from a TV commercial. Real or fictional. Funny or serious. It’s up to you. It must be a complete sales pitch with a specific call to action. You must be able to read it aloud in 59 to 60 seconds. No more or less. And no speed reading. Read with enthusiasm, but at a natural pace. You must pretend that real money is riding on your copy. People will respond or they won’t based on hearing your pitch once. If you’re used to writing long sales pages or print marketing materials, you’ll probably find that you have dozens of benefits or features you want to talk about, but simply won’t have time for. So it forces you to get to the point, write lean, and choose your ideas and words carefully. I’m obviously not suggesting that you use this as the pattern for all your copywriting. Length, tone, and structure differ from product to product and medium to medium. Just consider it a nifty little exercise to hone your skills and beef up your wordsmithing muscles. You’ve touched one of my “hot buttons”. The emails I receive from so-called “marketing gurus” often span several pages of “noise” until they get to the point. They’re like the guy who spends half a day telling his new girlfriend how great it’s gonna be when they get into the sack together ,and by the time they get there, she falls asleep from boredom. And if she does manage to stay awake, it’s over in 60 seconds and HE falls asleep while she gnashes her teeth. The emails in question spend several pages telling how great it’s going to be, then spit out only a couple of sentences of any marginal value. Now, why would I buy their book that promises everything? It’s probably full of rambling junk as well. Al Kalar: I know what you mean. Just this week I received 2 or 3 email newsletters from well-known “gurus” who managed to puff up a couple sentences of information into more than 10 pages of hot air. I’m not advocating short copy for short copy’s sake. But just … get to the point already. I absolutely agree with the other comments regarding the text filler. Just because you have the ability to put together a sentence, and perhaps even a paragraph, doesn’t make one a “Guru”. We get these emails all the time and not only is copy poorly written, but their web sites look like they had their next door neighbor’s son best friend’s cousin develop the site in between classes at the local continuation high school. One thing to keep in mind is that successful radio ads benefit from repetition… the message gets pounded into people’s head by heavy rotation. Others don’t have that luxury… often it’s one shot at the sale and that’s it. So, that copy needs to be a bit more comprehensive. But I love this as an exercise… it truly forces you to identify your core benefit and message. From there, expand as necessary. Brian: Yup. You’re right. Some ads depend on frequency to work. You see this with local ads for retail stores, auto dealerships, restaurants, etc. But in my world of direct response, radio ads must make direct sales. Often ads run for a couple days, and if they don’t generate the right call volume, they’re yanked. And that’s that. Every single airing of that ad must pull its own weight. You can imagine how this makes me sweat bullets when I’m working on royalty and my paycheck is literally riding on whether people respond to 150 words they heard while driving home from work in heavy traffic. Want an even bigger challenge? Part of my job is writing ads for the radio station where I work. I remember an ad from the 50’s. “I’ve got 6 seconds to sing. Buy Kraft cottage cheese, you’ll love it, love it. Buy Kraft — cottage cheese.” Actually took 7 seconds. I think that too many people have read the advice “long copy works” and use it as an excuse for for self-indulgent windbaggery. 3. Paint a beautiful picture of the solution for the customer. I join an organization called Business Network International (BNI – http://www.bni-rendezvous.com) where every Friday morning, we meet and get an opportunity to practise these 1-minute pitches we call ‘Sales Minutes’. The moral of this paragraph is that practise also makes perfect. If you spend the time brushing your teeth mentally going through it, and just use the next minute after getting your jaws in motion, you’ll do VERY VERY well. Dean why don’t we have a 60-second sales-minute podcast competition for everyone? People write long copy, not because they really think it works, or even because they’ve been told it works, but rather because when they look at the copy they’ve produced when they’ve gotten to the point quickly and concisely, they feel that it is somehoe inadequate. As if they didn’t say enough. So they make the same point, adding massive amounts of useless, repetitive information, hoping to bullsh*t people into believing they’ve made some profound sense. I’m not sure this is the right place for this question, but I saw a television commercial last night that boggled my feeble mind. It featured a bunch of people eating a new, super-cheesy burrito from one of the taco francises. The cheese was connected from the eaters’ mouths to the burriot by stringy, booger-like strands of cheese. You could almost hear the arteries slamming shut. But here’s the kicker: one of the last scenes had a senior citizen type guy doing the stringy cheese bit sitting on a park bench next to a hooded grim reaper…who was also enjoying a burrito while he laughed it up with the old guy on the bench. Does this represent some subliminal measure from the taco store telling us that if we eat their product we will die from the experience? Anybody have another take on this? We read on average 150 words a minute. By keeping a word count, you can write to time. Mght also work well to kick start thinking when we’ve got writer’s block! Thanks! A great reminder and a valuable exercise. Thanks Dean. On the long copy / short copy debate, I think good copy works at any length. Length is irrelevant. If it’s good, they’ll read. If not, they won’t. Robert: I agree about copy length. I hope no one is thinking I’m advocating short copy. Copy should be whatever length is needed, and long often works wonders. This is just an exercise. John Clausen: Yeah, what’s up with all that cheese? And how exactly does a spirit or skeleton Grim Reaper eat it? I can’t believe I’m even spending brain power to dissect the hidden meaning of a Taco Bell ad, but here goes. I think the idea is that the Grim Reaper is delayed in his task of taking old geezer to the great beyond because he is enjoying a burrito — AND, because this particular burrito features gobs of ooey gooey, yummy, irresistible cheese that stretches on & on, he might be working on it for a LONG time. Giving geezer extra minutes of life. that was fun. A draft copy of an radio ad for “Eruption” energy drink – 35 second. I guess it needs some (a lot of) work. But than again I was always rather brief in my writing. That taco commercial is very clever. It’s goal it to change eating behavior and have that become as important as the product. Think Oreo cookies. People are buying the cookie, but they are also buying the twisting, licking, and dunking that go with it. Sure you can twist apart, lick and dunk other cookies, but Oreo was smart and captured this aspect first. Now, Taco Bell attempts to do likewise. Clever, but I don’t think it will work as well. I agree with the earlier comments about ‘hot air’ not selling products. I was recently browsing for ebooks on a particular subject and came across an interesting blog with a page promoting the author’s ebook. It had two screens of copy, clearly headlined so I could skim through, and it covered why she wrote the book, what it offered etc. I searched for alternatives and arrived at a second site. It had a lot of copy. I waded through the text (as intended by the writer because there were no clear headlines to enable me to scan). A couple of times I thought it was about to get to the point and then I got a ‘but wait there’s more’. It was the equivalent of watching a terrible half hour infomercial. I could almost hear the guy yelling his sales pitch at me, complete complete with flashing lights and whistles. Ahh, well said. I am in complete agreement. My parents’ business (I am a senior this year, so I still work part time there =p) is actually an oldies radio station. If there’s one thing I’ve learned working there, it’s that Dean is spot on: the 60 second exercise is radically helpful in revolutionizing both clarity and efficiency. And yes, Brian, you are right regarding the repetition — you can recognize the well written ads if you can quote them. What’s amazing with some radio spots that I’ve heard lately, is that the better ones are so memorable that when I hear it, my mind starts saying what comes next…almost like when one is singing along to one’s favorite song. After many years of writing radio ads, I find I can write a successful 30-second letter. It truly teaches you to be lean and effective. I recognize that most of you are experienced writers and copy writers, however, I believe this is a valuable exercise for those of us who aren’t. Plus this exercise could be repurposed many ways. Change it a little bit and you clearly communicate your unique position in the market place, and use it as your core marketing message. Configure it a little and you have a message for a post card in a direct mail campaign. With a few adjustments you have an ad for print media. Thanks for the very useful idea. Here’s a similar exercise: Develop a 30-second “elevator pitch”. If someone asks you about your business, you should be ready to explain it clearly and succinctly in the time it takes for a short elevator ride. Say, about 30 seconds. Who knows, you might get a new customer? 60 seconds was just enough. Whether in reading or in hearing, people do not tend to spend much of their attention, 60 second advertisement with a great call to action would be best. Thats a very good idea to practice short catchy lines. Sometimes trimming out extra words give an authority to a sentence. This is a great exercise! I write what I call “60-second sitcoms” for one client. I get the sales message in, plus at least one wacky character and a tiny plot. Each script is requires a lot of tweaking to make it all work, but they do get sales for the client’s store. We’ve done more than 40 spots in the last five years. FYI, I was one of several winners honored at an event a few years ago, but there was a twist: each of us had to give our acceptance speech in the form of a haiku. Now THAT was a challenge. Brian mentioned “repetition”. I was told by a friend who grew up in the Anhauser Busch world (one of the greatest marketing successes of all time) that you have to be in someone’s face at least three times before they will realize that you’re even there. Have you any idea where one can obtain a 60 second stop watch similar to the one you have displayed. A make, manufacture would be very helpful.